Simon Stafsnes Andersen is a 28-year-old all-round artist from Bergen, Norway. He has taken three years of basic art school with one year of 3D design and Animation at the Noroff Institute, later worked as an in-house artist for an ad company for a year or two before taking on freelancing. Gecimen: Welcome, Snake. First off, can you tell us a little about your job and what you do? Snake: I'm a founding member of D-Pad Studio where I work as an Art Director. Currently working on Owlboy. I'm a professional artist, both as a freelancer and for my own studio. I specialise in illustration, animation, character design and of course, pixel art. A little of everything really. G: What about your hobbies? S: I do wood carving and have composed a lot of music I've never made available. I've visited practically every country in Europe and done the trans-Siberian railway trip twice. I can answer any Zelda or Megaman trivia. I have a massive amount of hair but do not listen to metal. I fold birds of every receipt I get. I absolutely love doing Q&A panels and talks. I have SNES in my name. I lived my first 8 years in northern Norway above the arctic circle, then moved south, resulting in an accent no one can place. G: You must really love cold weather! How do you pick your destinations? S: Not so much partial to the cold, more the things it brings. Silence, snow, and fantastic views. My main reason for travel has been my dad. He has always had a need to see the strangest places that people usually don't set foot in, and he decided I was the one to go with him. After having traveled for most of my life, I suppose it's just in my bones at this point, and just getting around and seeing things is like a reflex. My main hindrance is a lack of time, since I constantly work. Then again, a random invitation to some convention somewhere to display our games is ample excuse for me to pack my bags. G: I like to think of myself as hobby-man, but you are over the top! How do you find motivation to try so many different things in art or other hobbies? Do you feel you have mastered any field besides pixel art? S: I don't know if I've ever completely mastered any particular field. All that really matters is to try different things if you find them fun. I have a tendency to obsess and absolutely lock on to something if I give something a shot. Even if it's just once, I need to know I at least made some improvement. Honestly, the biggest challenge with anything is starting. The second is to finish. The third is to share it with people. Everything else is just repeating those steps. Or, in my case, being really hard on yourself if you're being lazy about the quality. G: Does your nick come from the Metal Gear series? S: Some people assume that. One of the first paces I ever joined online was a Mega Man forum. My favorite Mega Man game was Mega Man 3, and I ended up naming myself after Snake Man. This was probably the first place I ever shared some pixel art, and people started referring to me as Snake the pixel artist, so it kind of stuck. The ironic thing is, I almost chose Magnet Man. G: So, Hard, how you were introduced to art ? Hard: I've been told I first started drawing when my babysitter was busy and I would doodle to keep myself entertained. My mother did cross stitching, and we would sometimes replicate those patterns with pearl beads. If you've ever seen a cross stitching reference book, it's exactly the same as pixel art, so I was surrounded by it early. My father was also one of the first people in the area to get a proper home computer, so I would sit around and mess with MS paint and make little pretend games. Cutting out the pieces and moving them around the screen with the selection tool. When I later moved south to Bergen, I drew on everything I could get my hands on, and eventually took 3 years of art studies in high school. This was mainly traditional art, but I had a desire to learn how to do things digitally, something the school didn't offer. They did, however, have a computer room with a tablet. I would sneak in there in between classes and taught myself both how to use a tablet and Photoshop. Ironically, everything I now do for a living ended up being self taught. G: Cross stitching! Many Turkish women here (including my late grandma) cross stitch. I learned how when I was 7, years before I did my first pixel art. It's a great way to learn to be aware of pixels, isn't it? Hard Snake: It definitely teaches you how to use limited resources to represent more complex images, which is often a difficult skill in itself. will eventually accumulate in something. In my case, it became computers. G: How/when were you introduced to pixel art? S: It's strange to think about now, but I grew up with the various incarnations of MS Paint, and would just mess around with making things I liked. I couldn't program, so it would mostly be playing pretend. In primary school, I got my hands on Klik & Play and pieced together some small games using the pre-made assets the program provided, but after trying to edit them into something more along the lines of what I wanted to make, I decided to start from scratch, which meant learning the basics. I remember in secondary school, I would download Mega Man sprites and click through animations in gif programs just so I could figure out run cycles and how contortions and shading worked. I bought Photoshop CS3 and a Wacom Intous 3 brand new when I was halfway through art school and have been using them for pixel art since. G: Where were you between 2009 and 2013? Did you simply stop pixelling or were you just away from PJ? Owlboy happened. For the past 7 years, I've been working on a massive platforming game that's taken up pretty much all of my time. Honestly, the idea was that I wanted to outdo Colossal Katamari and make something really spectacular. A pixel art game that was done properly by hand. I've made the decision to do all of the art for the game myself, and having never designed a commercial game before, this has been a long learning process and a monumental amount of work. I've made more pixel art than I ever have, but until the game is complete, I haven't had the chance to show any of it. After a while though, I simply had to do something else. We made a side project called Savant Ascent, I decided I absolutely needed to make some fun mockups, so I could stretch my legs again. Naturally, because I have tons of work left to do, I can't do them all that often, and the exhaustion of having worked this long on a project makes it difficult to do things on the side, but I have a constant need to make things. If I'm not creating *something*, I feel guilty. I'm expecting there to be an explosion of stuff once I've got my hands free. G: I really want to know more about Owlboy, I saw some amazing scenes a couple of years back. What is it like to hand craft all the art of a big game project on your own? S: Developing a game like this is very different than you would expect. When development started, we were all teens that had made our own little projects, and had just figured out that doing things as a group was possible. Previously, making your own small games was mainly your own responsibility and you would add what you felt like. When we started testing the first iterations of Owlboy, we had a bit of the same mentality. 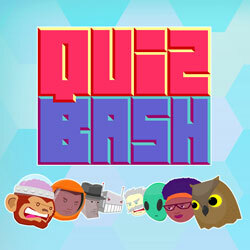 We added things, built some stages and tested a lot of different features to see if it felt fun. But doing a big commercial project as a group is a very different beast, especially when you're starting out. It's always the stuff you're not expecting. We had the ideas, making the art worked nicely, and we solved internal game issues fairly effectively. The big things were everything else. Communicating effectively and getting a proper plan in place that everyone agrees on, finishing projects at a set deadline and not adding areas or features that end up taking up a ton of time, keeping the motivation to see things through, paperwork, and establishing a business and running it appropriately. While it's always at the back of your mind, until you're actually faced with these things, you honestly have no idea how to handle them. We've gone at this head first and learned as we go. We were fortunate to be at the right place at the right time to be able to continuously work on a project like this, and in a sense we're very lucky. I can honestly say we've been allowed to make exactly what we want and do our dream job, with the added hardships needed to forge us into proper developers. Of course, with a project this big, you always have the pressure that it "needs to be perfect" to meet people's expectations. Owlboy can, of course, never be perfect, but it'll be what taught us everything we wouldn't have learned otherwise. Can't wait to see what we can develop with that skill. G: Have you set a date that you want to release it? S: We haven't announced a release date officially yet, but we have one set internally. It's going to be soon. G: Can't wait to get my hands on it! Anyway, I also really like your DeviantArt gallery; yet your style in digital painting is very different than that in pixel art. Can you tell us about your experience with non-pixel digital media? Do you have a career as a digital artist or is it just a hobby to you? S: I learned how to use a tablet while learning Photoshop, so the two have kind of gone hand in hand. I treat my pieces a lot like paintings, so I rarely use custom brushes. I stick with the regular round brush and polish until something looks fun. I like to describe myself as a fixer. Both in pixel art and in paintings, I fix things until they work. Of course, this means I work pretty slowly, but I love making every bit perfect. I'll also extend this to other things, like logo designs. I'll often get frustrated when people ignore aspects of their presentation when it damages the whole - a boring logo, mismatching interface design, a character they didn't put work into. G: I definitely agree. Attention to detail is essential to build a good and consistent work. S: Ironically, this also translated well when I decided to help my friend Aleksander start his band Savant by creating his image. The logo was one thing, but with every cover I did, I spend a lot of time creating characters based off the music, and would hide details in every little corner that I could, just in case people were looking. Ever since I founded D-Pad Studio, I've been taking care of everything art related from website design, promotional art, and the games themselves. It's a profession of course, but mostly it's just fun. G: Tell me more about Savant-Ascent? Rogue-likes are not really my thing, but this one I liked a lot. Whose idea was it to clash a medieval guy with all that strange stuff? Does this game have anything to do with the music group Savant? Cause you can't play without thinking the music is awesome. S: Savant Ascent is a strange one. We've known Aleksander Vinter since before he took on the Savant label for his music. In fact, Jo-Remi, the programmer on Owlboy, was already collaborating with him on small projects when I met them, prior to founding D-Pad Studio. We had always been discussing making a game based on his music, back when his persona was Vinter in Hollywood. This resulted in boat racing games, platformers, and a stationary shooter where you killed off enemies moving towards you. None ended up being completed though. When Aleks decided to try his hand at dubstep, I took care of the logo and cover design for what would end up being Savant, and did several covers for the next few albums. It was sometime after I finished the work on Alchemist that we got back into talks about doing a game. I was already working on the next album at that point, and I usually go pretty in depth when I design worlds. Every cover and character was meant to be a place within the Savant universe and its story - I would hide tons of information and secrets in every cover, most of which have never been found, since it requires the full resolution covers and a bit of guessing. We were talking about the idea of retooling the old shooting game experiment into a quick little project we could release. For whatever reason, we had decided that instead of taking a summer vacation, we would spend the few weeks we had making more games, so this was a good opening for it. Since I already had a lot of material, I decided that the game would take place directly after the events of Alchemist, serving as the link between that album, and the next in the timeline, Cult. We were asked specifically to make the project available for computers and smart devices. The guys and I are all fans of action games, so we had to find some way of making mechanics that allowed for skill play, but wasn't dumbed down or needlessly difficult on tablets and phones. The initial project was simply standing in one spot and gunning down enemies as they approached you. While there was a challenge, it lacked variation and an action that required skill beyond simply pointing in the right direction. That's when I pitched the idea to press a button to jump between two points, dodging enemies as they pass by. This was simple enough that phone users could pull it off without on-screen controls creating problems. Testing that, I thought it would be fun if the player was standing on two elevators. Then we could get a lot of speed by having scrolling backgrounds. At this point, I knew what the theme needed to be - The Alchemist, having created the philosopher's stone in the first album, loses control of the orb and had to find a way back to it before the monsters it's creating out of metal objects get out of control. With the elevators in place, a tower made sense. For his new home, I gave The Alchemist more of a Celtic/knight kind of look to match the castle-like feel. He was initially fitted with a sword, but we traded that out for summoning energy versions of the monsters from the Alchemist cover. 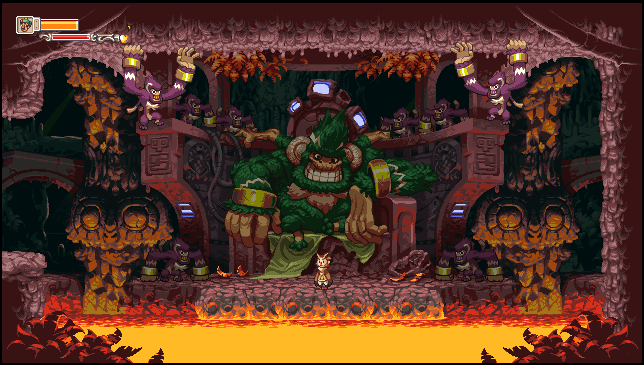 The game was initially planned to have three levels, each with their own boss, but as we still had work to do on Owlboy, and with the Savant deadline creeping up, we cut it to one so we could be sure that was properly done. Ironically, we still ended up with 3 stages, as the boss needed a separate room and the game needed a quick tutorial room at the start to show people the ropes. For the boss, I chose Vario to be the source of the orb's corruption. He was a character I designed for the first Savant album I made. 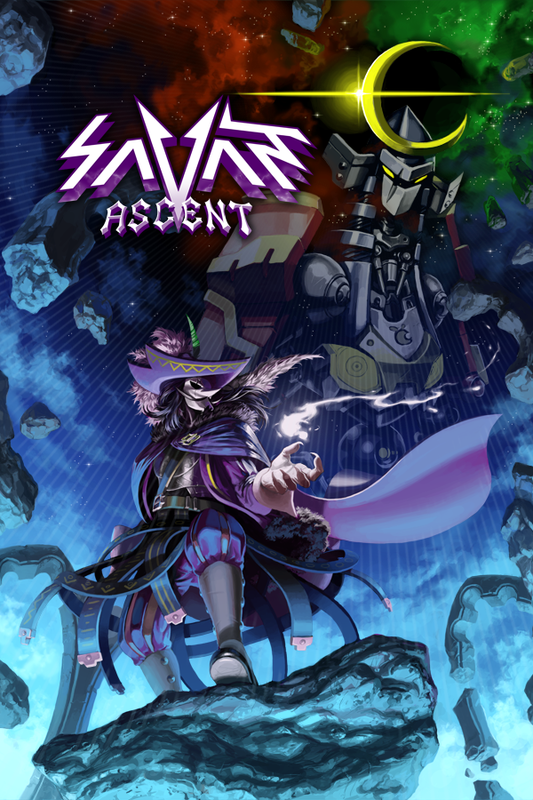 Savant-Ascent was actually the first commercial game we had ever released as a studio, so there ended up being quite a few things we had to learn in the process. We were actually pretty surprised how popular the game got, especially since we were initially planning to make it free. We got so much demand for it, that we had people practically begging us to make more content for it, despite us being back on developing Owlboy after the summer ended. Sometime later, Savant asked me to do the cover for his next album, Protos. I ended up designing a ton of characters based off the different songs. I was away in Texas at the time, and ended up sending Jo some of the sketches I had done. One in particular, being a character called The Samurai. I had drawn multiple design sketches for him, despite him only showing up as a disembodied mask in the Protos cover. A few days later, without warning, Jo sends me screenshots from a Savant Ascent test build, showing the camera slowly panning up from inside the boss room, and revealing a crudely drawn Samurai dangling around in space. I pretty much began work on assets for a samurai battle on the spot. Surprisingly, this meant we could finally complete the story in a way that made sense for the timeline and allowed for the characters from Protos to make an appearance. The update ended up being very well received, and after adding tons of updates and unlockables in the game, we finally felt like we had tied together all the loose ends for the game. Some people, to this day, are confused why it ends the way it does, but if you've listened to the lyrics, know the timeline, and have found the secrets I've hidden around the place, it's exactly what needs to happen. G: Would you mind sharing some of your music? S: I've just messed around with trackers and midi programs all my life. Jonathan Geer, the composer for Owlboy, took two of my old tracks and turned them into something fantastic to put in the game, so I've that, hahaha! If you're interested, I've got a couple linked below. G: You have held the Hall of Fame #1 pixel art spot in the Pixel Joint gallery for a long time now. How does it feel to be admired by a community? S: It's really bizarre in retrospect because the piece you're talking about, Colossal Katamari, was just a Secret Santa gift I made for someone (PJer name) over at Pixelation. My computer didn't work at the time, so I had to borrow a laptop and made it with a dodgy mouse about half the size of my hand. I just wanted to make someone's day, and suddenly this thing just explodes in a way I still can't quite explain. It's certainly an honor holding the top spot on a site with this many talented artists. G: I would never expect such an interesting story behind this. Can you describe your experience with the pixel community? Are you involved in any other communities or social media? S: I honestly rarely ever experience being admired. I'm not a people-person, and I'm endlessly critical of what I make. I also don't communicate much with other artists despite always planning to. I tend to be lost in my own thoughts most of the time. So, from my point of view, I'm sitting in my office in silence making something I hope will inspire people. That said, every once in a while something pops up completely out of left field. My wife has random clients at her hotel that know me by name. I've had people stop me in the street and I've received messages, emails, and letters saying they started their careers and got involved with art because of something I made. I honestly never expect anyone to like what I do, so these things really make my day. It's really strange for me to think there's people out there that were impacted by the things I make. I used to be pretty active on Pixelation a few years ago, but I've been so busy with work I haven't had time. Nowadays, my twitter account is the only thing I really have time for, which is a real shame. I'm really hoping I'll be able to open more up and put more of my work online once my game is done. G: Your work is inspiring indeed, not only on the aesthetic side, but on the idea level too. S: Well, inspiring others has always been the goal. I'm my own worst critic and I subconsciously assume others to be as critical as I am, even if that pressure becomes a lot at times. I love speaking to crowds and individuals about what I do and how we can push ourselves further. Most of the things I make present an idea that can be accomplished in the hopes that others will be pushed to give it a try themselves. I think the main difficulty is that I don't enjoy needlessly censoring myself. I like being able to speak freely, because it allows for broader ideas - but it's very easy to offend or turn discussions to needless political issues in those instances. And that gets depressing very quickly, when, more than likely, you both have good intentions. The best interviews I've done are where we could drop anything and laugh about it. While it may sound like I'm exaggerating, my art is literally my entire life, and something I make as much for other people as myself. It can be tough when you have your work thrown back at you, but I hope that it ends up as something positive in the end. G: It is safe to call you a mock-up master. Do you also work on games outside D-Pad? Do you have any other involvement in games other than graphics? S: That title is new to me. I'm really glad to hear people were excited about my ideas though. There's a lot of games I miss or feel like I could help make a reality, so if these mockups helps that happen, then I'll put proper work into it. Most of these mockups are made with the intention that I'll actually create them, if given the chance, so I guess that's good motivation. Outside of the work I've done for my own company, I've done work for Wayforward, Datarealms, and a few others. The first game I worked on professionally was Contra 4, later doing stuff for Transformers, Adventure Time, Ducktales, Cortex Command, and Planetoid Pioneers. I've mostly had to turn down big jobs because of my own games, but not all of them. I've done a ton of odd jobs here and there doing shirt, poster, and logo designs. I think the strangest one I did was when I helped make a kids show called City of Friends of all things. G: What is City of Friends? S: City of Friends, or Vennebyen, was a series of children's books created for kids, that taught them about the police, firefighters, and paramedics. I was working at the studio when they were asked to make a 3D kids' TV show, and was put in charge of set design. I still would have loved to have a crack at the main characters instead, hahaha! The city was populated by kids and animals and each episode was another safety scenario. I left to found D-Pad Studio halfway through production, so my involvement was very limited, though all the houses used in the final show were designed by me. It was an exercise in moderation working on it. I prefer a lot of detail and elements that makes you wonder, but I was told the houses needed to look as simple as possible, more like kids' toy sets, so the designs are hardly recognizable as something I would do now. I think my most lofty pitch was to make the entire mountain range that surrounded the city look like a dragon when seen from above, though that was eventually rejected. I actually only watched an actual episode last year, so I don't know what the success of the show ended up being, though there's books, music, and clothing being sold in the stores now, so it must have struck a chord with someone. G: Do you have a favorite genre when it comes to video games? S: I'm not sure I have one. Anything can be inspiring. I absolutely love everything from Mega Man to Zelda, but that would be narrowing it down too much. I like the idea of games, often more than games themselves. A screenshot from a game magazine from 1993 lets me fill in the blanks and I love that. The only thing I don't like are games that are not themselves. G: I definitely get what you mean by filling in the gaps of a screenshot - if a game triggers my imagination, it is far more fascinating than the game itself. I often find myself daydreaming of worlds that don't exist, inspired by a game I played only a couple of hours. But can you elaborate on "games that are not themselves"? Does it have something to do with producer-pressured developers? S: This comes down to what I like to call 'the Ghostbusters principle'. All media is derived from something else to a degree, but some games or movies are done to the point where simply looking at it only brings out a comparison to something else. Often, whatever the game achieved will simply drown away because it's now simply following in the footsteps of other media, intentional or otherwise. The reason I call it the Ghostbusters principle is because when you think of the movie Ghostbusters, very few other things come to mind. It managed to create a universe for itself that, while not perfectly unique, operated within its own rules and had its own feeling to it. The movie was itself. Applying this to games, so many projects disappear off the radar because it simply doesn't feel like its own work. Now, achieving this world of your own can be fairly difficult for some, though simple things that could improve your game drastically are usually skimmed over because you're in a pattern. Reusing the same system as every other game because that's the standard and not what makes things interesting, retelling similar stories or having similar heroes when these are what will be noticed first. Having monsters everyone has seen before when you could easily exchange them with something else. Choosing a theme or world you've seen countless times because you just like that sort of thing. Many genuinely enjoy games that are similar in style and I don't think there is any malicious intent, which is why the Ghostbusters Principle is simply an example that can show how you can push yourself further. I put a lot of value in original thinking, though it's up to everyone else how best to design their games. I'm hoping to put it more to use moving forward. G: As a designer, I agree that there are endless things - worlds, monsters, vehicles, scenarios - that are never imagined, yet people still manage to reuse the same old stuff on and on. Let's talk a bit about your pixel technique. Can you give us a description of your usual way of starting a pixel art piece? Do you put the concept first? Do you start off with sketches? And how do you begin to realize the piece? S: This varies a lot. It really comes down to what I'm making or what triggered the inspiration in the first place. For example, for sprites, I tend to do messy line art in black at first until I find suitable shapes. Backgrounds and large areas will also usually be sketched out as lines, but usually only when there's either specific details I want, or if perspective is important. I usually find larger pieces or images where I focus a lot more on color use is where I block out things with blobs, usually jumping straight to colors. The downside is that often, minute details can disappear with this approach, but then, doing line art first often ends up making it harder to color since you're already dealing with strong contrasts from the lines. I don't tend to stick to just one method. Once the general idea is down and I've picked some basic colors, I polish every section, often several times over until I end up with something that looks acceptable. I tend to go for a completed mockup before cutting things up. I'll use tons of layers, but usually it's just for backups or making drawing easier. I can often draw characters, sprites, and parallax layers into the same flat image, and then separate them into different objects later, making readability tweaks afterwards. I often find that strictly having a "this layer is only for sprites" routine only works until you start putting restrictions on changes because it might break the layers. G: How to you develop your palettes? Do they grow organically or do you start from a set palette? S: I get this question a lot. The answer is both. I pick some initially pleasing colors and start dotting down the general idea. I'm usually very mindful about getting shadows in early, because they change so much in a scene. Using blue-ish shadows versus warm colors not only changes the whole mood, but will subconsciously effect your later color choices. For example, through complimentary contrast, making grays appear orange if you have a lot of blue around. I often find that after getting the basic colors in, things are either too bright or too dark, usually affected by what I used to sketch the scene with (black and white lines or high contrast flat colors for example). It's at this point I'll select colors individually and trade them out one by one. Sometimes by selecting them, doing hue shifts, or just painting with a new color over everything, and removing similar colors if I liked the change. The biggest mistake is doing palette changes when you've already started polishing parts of your piece. When you do detail work, you pick colors not just for their hue, but also colors that can be paired up for anti aliasing, sub-pixelling or the likes. You'll often end up breaking what you've started and sticking to bad palettes, alternatively having to redo big chunks. Since I'm a bit Red/Green color blind, complimentary contrast becomes a big issue for me when I do this sort of thing. On one hand, I can often end up doing AA with greens or purples when I thought it was gray, something that will look really odd to anyone else, and it often won't become apparent until after I've changed my palette and realized greens were brown. This also creates problems where colors look normal to everyone else, but it looks terrible to me. Pink and bright green in somewhat similar hues look like they glow to me, so I can never put them together. G: You're one of those people who try out a lot of different styles and handle all of them professionally. Is this intentional or do you just go with whatever inspiration you happen to find? S: I don't know if it's all professional, but there's an attempt. It wasn't really intentional, I don't think. I would just experiment with things I found fun. I remember when I first started trying to make games, I had seen some screenshots from Mega Man Battle Network on some Japanese website, and from that, designed some kind of air-boarding game. I didn't quite understand the subtleties of the game's abstraction though, so I ended up with characters that had a ball for a head and dots for eyes. I could draw better, but the idea was to capture the feeling I got, not what a human face is supposed to be. I've always been very obsessed with making things accurately. If I emulated something or made a fan design, I wanted to be completely sure it matched that universe's design philosophy and aesthetics. I'd often obsess over what made a particular piece of work feel the way it did. Not in any methodical kind of way. I would just make tons of attempts until I understood how it worked. As a result, I've ended up being able to jump into most kinds of design, analyzing elements of people's work kind of by accident. My wife keeps pointing out how I'll be frustrated about inconsistencies in a logo or how a design element for a new character doesn't match the consistency of a brand without even realizing it. These are things most of us would consider trivial, though accumulated, it could be what separates your average, random flash animation from a professional, full-time cartoon series. Consistency and a strong idea of what your core design choices are can be very powerful tools. G: Your old, less saturated, more detailed scenes and your new stylized mock-ups really seem like they're done by two different people. We didn't see any of your more realistic scenes recently - until A Visitor. What made you revisit your old style? Also can you tell us a little about the piece? Are you into tales? If so, why? S: I think my color use was more of a coincidence. I do tons of art that I don't end up uploading anywhere, and it just so happened that I did a few mockups with strong colors and lots of abstraction. Things go in waves. I used to be completely mesmerized by realist painters when I would visit museums, being obsessed with accuracy and minute detail. On the other end, I have a huge respect for abstraction and see it as the more creative of the two. Making something from your imagination that has its own sense of style and feels like it makes sense in its own universe is when I feel like I'm really putting my skills to use. Realism has always been a way to sharpen my fundamentals rather than the ultimate goal, so when I draw just regular people or places I rarely find it particularly interesting to share. In the case of A Visitor, I've been on two binges lately: The first being fighting game backgrounds, some of which are absolutely masterfully done and it's another medium I need to study more. The second is the Middle East and south Asia. Not one region in general though. Like I've stated above, what fascinates me is the idea of something. While not accurate, the romanticized versions of eastern elements pop up everywhere and there is something captivating about that feeling. Particularly the reoccurring themes or deep purples and reds against sunlit white. I suppose being one of the few areas I haven't visited, it lets my imagination run more wild. I've actually done several works with vague hints to these regions. A few paintings, character studies, and even a game prototype that we're keeping under wraps for now. I had been doing a few fighting game backgrounds just for fun and realized I could just make a finished pixel piece with that perspective in mind, but incorporate elements I was captivated by at the time. Some of these were the aforementioned colors, patterned hallways, light bouncing off stone, large pillows, and colorful draped clothing. Chinese lanterns and large arches. Nothing meant to be anywhere in particular, but just an accumulation of the elements I kept getting lost in. As for tales, I've always had a thing for them, though I was never good at remembering them properly, just what stuck. As a kid, my parents would read not only the old Norse mythology to us, but also a massive collection of old Norwegian fairy tales and myths. I grew up with Nøkken and tree-headed trolls, massive crows turned into boats, people with impossible abilities, and flying ships. Back when he was still alive, an Italian-Norwegian filmmaker called Ivo Caprino had made puppet movies of some of the more famous fairy tales, and I always loved how he could reinterpret something with such creativity. Video games also showed how you could take the general idea of something, say Greek mythology, and end up with something completely new. My favorite part of old stories are their underlying surrealism. The stories of Simbad are a lovely form of bizarre and end up taking you down a road that can lead to some really creative places. G: Will we ever see some pieces about Nordic mythology or tales then? Are there any areas you plan to discover soon? S: I actually did some years and years ago. In fact, there were plans for an entire game based off the more obscure parts of Norwegian fairy tales, but like many things, it had to wait. Though there are a lot of tales and monsters that I'm going to have to explore sooner or later. Nøkken, in particular, is captivating - a creature that lurks in water and tries to coax you in to drown you. Like all old fairy tales, it's got various incarnations as it spread throughout the world, the Swedish and Scottish variants being pretty captivating. I think being from the North, parts of Nordic tales are naturally embedded in what I do, in some sense, though probably more on a subconscious level. I try to avoid themes that feel expected, though they do happen. When we redid an old game my programmer, Jo-Remi, did when he was 14, it had your usual stereotypical vikings in it jumping around on trampolines, so I haven't quite escaped that grasp I suppose. G: You have few pieces on your gallery. Are you trying to keep your gallery clean? S: I tend only to upload the things I feel are "finished". I've never had the habit of showing unfinished stuff or half-ideas because I feel like I'm spoiling something that could have been realized to have more of an impact. I have filled hard drives and notebooks of ideas I keep to myself until I've made something complete to share with the world. I might change this view moving forward, but we'll see. I should have more time to complete things when my main game project is done. G: In your highly praised mockup, Chip & Dale 3, a strongly saturated purple is used as the neutral color and it gives a lot of life to the piece, and makes the actual grays stand out. Was this a deliberate choice, or does it have anything to do with the color blindness? And can you tell us a little bit about the piece itself? S: The mockup happened after I studied the old mockup pitch I did for Ducktales Remastered. 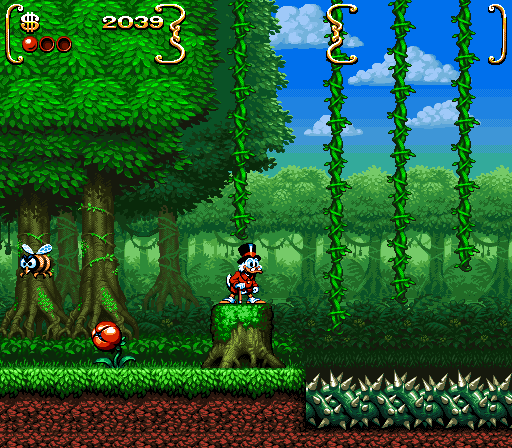 The two Disney/Capcom games I grew up with were the original Ducktales game and Chip and Dale. Back then, co-op platformers were rare, and after having a discussion with the team about various series that would be fun to work on, I started getting some ideas for how a third installment of the game series could be done. It also gave me the chance to fix the things I didn't feel held up in my Ducktales mockup. In the original, only Chip and Dale were available. With the cartoon having a team of 4 (not counting Zipper the fly), it sounded like a fun idea to allow for 4 player co-op, with each character having their own abilities. The colors I pick tend to be pure coincidence when I start out. I have a general idea of what I want, and the main colors establish themselves based on what I use the most. In this case, I wanted to base it on the palette Disney used in the original cover art and the backgrounds for the actual show. There was a surprising amount of purple, and Capcom's SNES Disney games also use purple brilliantly. The scene I decided to make was a reference back to the alleyway in the first NES game, but it allowed me to bring in the city streets that appeared on the show (I seem to remember Chip 'n Dale 2 actually featured a city on its cover). Additionally it gave me the chance to make some of the size errors that happened in the first game a little more reasonable (though I couldn't help adding those huge apples). This is also one of the mockups I started out with black outlines, so you can compare it to other images where I started with blotches to see a difference in results. Since I tend to plan my mockups as if I'm making an actual game, I hope that helps make it at least somewhat believable. G: Your sprites are so slick! Apparent in the Cheetah Men remake as well, what's your secret for making characters that have a lot of dimension but remain cartoony? Also, can you tell us what motivates you to make remakes of old games? Is it practice, homage, or ideas you just have to let out? S: It's difficult to pinpoint a particular method, as everyone works differently. I tend to do character design and pixelling in three stages: General shape, the character's base color, then volume shading. Getting the shape is, of course, difficult, and plenty of tutorials go through how important silhouette, pose, and readability is. Volume lighting definitely enhances this, but I don't feel many emphasize how important distinct colors are. It's possible to recognize your favorite characters by just the few main colors that represent them and where they're placed. Even a good design in line form can be ruined by not giving color placement proper consideration. I tend to start with a pose I find appealing, one that accurately represents the character and their personality. Then, the character's colors should be able to be readable and appealing, even without any use of shadows. Once I get to that stage, the basic colors I've started with should decide whether I'm using hot or cold shadows, and they're applied in such a way that emphasize the character's volume more than anything. There's times when it's technically more correct that large parts of the sprite is covered in shadows, but that can hurt readability. I try to mainly cover things in shadows if you're not supposed to look at something, or enhance something else. I use the standard spriting trick of dark outlines on the bottom and light outlines on the top. Unless you're using very bright colors, it's always safer to use some kind of outline for readability's sake, but I try to make it as invisible as I can. On that subject, I often include a second light source. A mistake I see a lot of artists do is make a hard separation from primary light, to dark shadow, to the secondary light. Often when applying the secondary light, the darkest shadow isn't needed and there isn't a hard separation line. I feel many just add a blob of sub-lighting because they've seen other artists do it without considering how it blends with what's there. If I use it, I try to keep it subtle, for the most part. It can add volume, but it's very easy to make something look like someone spilled paint. The same with highlights - use them sparingly; oftentimes, covering less makes things look all the more shiny. When it comes to my remakes, I don't pick things at random. There are a few games here and there that I would love to work on, and others I feel like I know well enough that I could feasibly create the games if given the chance. In some cases, with Cheetah Men, for example, it's a terrible game series, but the broken mechanics allow you to figure out ways to fix them. In this instance, Cheetah Men seemed to perfectly fit the old beat-em-up model I loved from games like Turtles in Time that aren't really made anymore. In the original games, Hercules had a sort of glitch move that would allow you to hover when punching, so some levels could be built around rocket-punching through the air to reach platforms. For the Mega Man X9 mockup, I've just really wanted to make a Mega Man game for years and have them more or less thought out already. For Wario Land, I came across footage of the Virtual Boy game and got some ideas for how a proper sequel could work. In all instances, these are games I actually want to create and there's a lot of planning that goes into it before I start working on it. I'm currently playing around with a remake of the two broken Mega Man DOS games compressed into one proper game, and after two or three weeks I'm almost done balancing the redesigns, their weapon weaknesses, level ideas and themes to a point where I can actually start making the proper art for it. These things are supposed to feel real. I've got a good few mockups that didn't end up being particularly interesting as game concepts that I never finished, so it's a long process. Though who knows, I might take a second look at Star Tropics and Duck Hunt if I get inspired again. G: I'm really a fan of your Girantis piece. But I will ask you from the design perspective. What gave you the inspiration for this awesome abomination? S: This is a simple one. There was a jam going on at Pixelation years back where you would combine two animals and make a creature out of it. A Giraffe and a mantis seemed like the two most mismatched things I could think of, so I did that. G: Let's get back to Colossal Catamari, that random piece you did for Pixelation's Secret Santa that has grown to be a pixel art icon. This piece is featured on a lot of sites under the topic "what is pixel art". For one, I have used it in presentations about PA. What hits me most in this piece is the high detail level on such a large scale. And the clouds of course :) Can you tell us a bit of this piece? S: Colossal Katamari is an artpiece I think will always be a very strange part of my life. I honestly don't remember much from when I made the piece itself. The description from my secret santa recipient was that he liked Shadow of the Colossus and Katamari. Having played neither, I looked them up, picked elements I found fun, and went from there. I think the palette was mostly based off a grainy screenshot of the third colossi. Everything else is a bit of a blur. The idea of a Wanderer/Katamari mashup pushing a giant ball with Colossi stuck to it seemed like the most straight forward thing to do. I do know that years later, people have pointed out some parts of the colossi themselves look a little rough. I think its almost possible to see when I had to switch to that dodgy laptop mouse those last few days before the deadline. Considering I never expected anyone to give the image a second look I never thought of going back to fix it. I'll be completely honest that the response took me off guard when the Secret Santa images were shown. The pixels I had done as just a random gesture for someone I didn't know was completely dominating the conversation and I honestly felt bad. Like I had hijacked Christmas in some way. Sort of as a random experiment, I put the image on Pixel Joint and I couldn't for the life of me understand why it got the attention it did. It ended up on thousands of websites and got covered by Playstation Magazine of all things. Back then, they came wrapped in plastic, so I had to buy four of them before I finally found the one that had the little square with my art in it. I never understood the buzz, but I felt like I could do much better than this. I also realized I was quickly getting to be known as the "Colossal Katamari guy". Pretty soon afterwards, I decided I needed to make something that would completely blow it out of the water, which incidentally became the fuel for coming up with Owlboy, and in a sense, my game making career. While I was working on that, Colossal Katamari continued to circulate around the web. It would pop up every once in a while at random, someone posting a collection of images, a gaming website posting it on a lazy news day. But there's one moment in particular I remember well - This was pretty recent - I was in Malmö, manning a booth for D-Pad Studio at NGC and had just enough time to attend a lecture. It was Brandon Boyer that held it, if I remember correctly. There was a lengthy talk about what value games and art could have, and out of nowhere, one of the slides, plastered across a massive cinema screen, in front of hundreds of people, was Colossal Katamari. I think, at that point, regardless of what I think of the piece myself, I realized it had taken on some kind of meaning for people. I've seen many use it as some kind of go-to example of what pixel-art can be. I don't really think it deserves being considered the top rated pixel piece of all time on Pixel Joint. 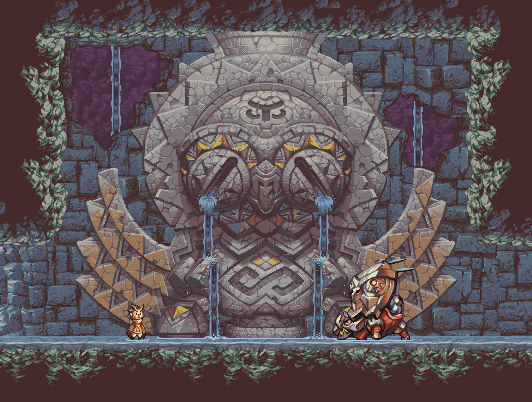 There's tons of pixel-art that's been done considerably better. But a lot of the reason I make art in the first place is to inspire other people. So if that is the end result of all this, then I suppose I could be happy about it. G: Is there any advice on pixel art that you'd like to give to beginners? S: The most important thing is just to make things, period. Pixel things for fun, challenge yourself. You want to make a game or an art piece like the people you admire? Try to actually make it as good, but actually study what they did. Try to do that weird thing you don't quite grasp, and see how it makes your art look. Do something spontaneous and stupid, it will lead to something you feel engaged working on. Everyone learns differently. You might do well by checking out a tutorial for at least some basic things, or you can learn by imitation, but regardless of what you choose, it's always fun to do something you think is just a little too hard. You might get frustrated, sure, but in the end, that's what you want. Frustration is just the stepping-stone to improvement. And study your fundamentals: anatomy, lighting, perspective, movement. Then slack off again and make more random things. I'm not going to suggest blending techniques or coloring methods, you'll figure that out. Just make things... Oh, and share your work with others. That's where everything starts. Majoras Mask: Superb game. Lots of interesting ideas, great setting with mechanics that center amount the game's theme, and a lot to interpret. Chrono Trigger: Great characters and an interesting way of making every party member into a side quest you just want to dive deeper into. Pretty nice pixel art for its time too. Mega Man 3: For whatever reason I can play this over and over and it's just as fun every time. Mega Man X1-3: X was one of the reasons I started drawing in the first place, and the opening stage is something I've used many times as an example of ways I want to inspire others when playing my games. I could add tons and tons more, but it would make for a massive list. Anything can inspire me, but these games had a pretty significant impact. G: Thank you, and hope you'll be inspiring us for many long years! S: I hope so. I have a lot more I need to do. That chiptune! I like it. awesome work!!! your work is inspiring.! Wow, this really was inspiring, for me as a beginner it really is astonoshing, to see what hard work, determination and creativity can do for someone, i hope i'll be half as good as snake in like 10 years. It was an very intresting interview. Snake you are a big inspiration for me and i'm pretty sure for almost everyone else in this community! Thanks for the great interview! It makes me wish I had the time to be around here more often :). Snake, you are the master! Thanks for these insights! Very happy with how this turned out. I tend to drone on a bit, but hopefully it'll contribute in some way. Nice name detail by the way, Gecimen. Pretty solid read. Good interview, Gecimen! I'm with Cure on this one. It took me a couple of days to read it, but it was great! The fact that he worked on such MASSIVE pieces of art is jaw-dropping! I hope to get to the determination that he has, and can't wait to get a copy of Owlboy when it comes out! Great interview! This will definitely be a re-read. This highly edited for length version is not available as a hardback option however the 'Writer's Cut Edition' is avaiable for free but because of the weight there is a US$500 shipping and handling charge. I would like the purchase the hardback version of this interview. Nice! It‘s always interesting to read those interviews. Quality stuff! Thanks for doing the interview. And it's such a good one.